"We are involved now in a profound failure of imagination. Most of us cannot imagine the wheat beyond the bread, or the farmer beyond the wheat, or the farm beyond the farmer, or the history beyond the farm. “The regenerative qualities identified in prehistoric, anthropogenic Amazonian dark earths suggest that notoriously infertile tropical soils can be greatly improved. Soil enhancement practices by ancient Amerindians allowed them to intensively cultivate the land, without needing to continually clear new fields from forest. As increasing populations place ever greater pressure on tropical forests, this legacy of rich, ‘living’ soils warrants further study in the search for high-yield, land intensive, yet sustainable forms of management.” — From Amazonian Dark Earths: Explorations in Space and Time. 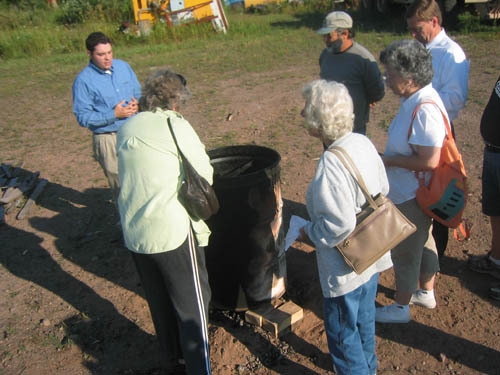 These project posts and updates from the summer 2008 section of HU2506 — Humanities, Technology & Society—are authored by participants in our Biochar @ MTU Project. The course and the project explore the concept of sustainability in its economic, social, cultural, and environmental forms before turning our attention to one scientific process in particular: creating biochar, a process that results in a carbon negative nutrient-rich soil amendment for community gardeners and farmers. Biochar has a 5,000-year history as terra preta, or Indian black earths (terra preta de indio) in Amazonian South America and thus involves us right away in history, culture, geography, biology, and soil science. We explore those contexts while trying to create biochar and assess the longer-term feasibility of a community Keweenaw Biochar Project. 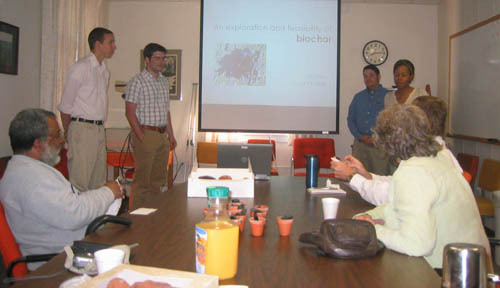 A group of MTU students is currently exploring the feasibility of establishing the Biochar @ MTU Project as an Enterprise team or affiliating it with existing campus projects and initiatives. The impetus and commitment remain that the project is a reciprocal project with the local community, with shared access to resources, planning, and participation. If you are interested in joining this university and community effort — as a community member, as a student, staff, or faculty member — write to Michael and we will add you to our biochar-l mailing list and update you on future plans. Carbon sequestration in soil also has significant potential. Biochar, produced in pyrolysis of residues from crops, forestry, and animal wastes, can be used to restore soil fertility while storing carbon for centuries to millennia. 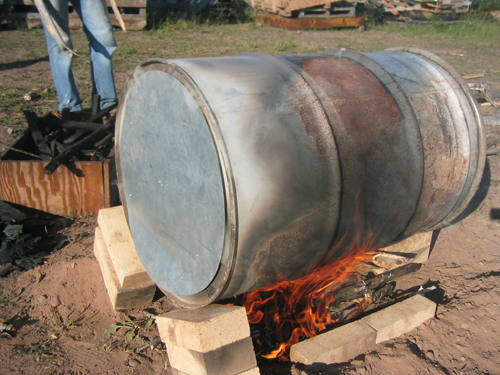 Biochar helps soil retain nutrients and fertilizers, reducing emissions of GHGs such as N2O. 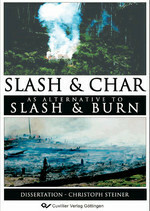 Replacing slash-and-burn agriculture with slash-and-char and use of agricultural and forestry wastes for biochar production could provide a CO2 drawdown of ~8 ppm or more in half a century. 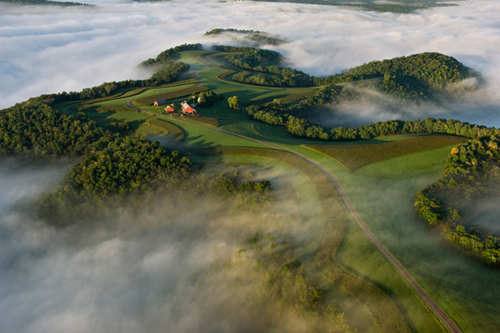 National Geographic — Our Good Earth: The future rests on the soil beneath our feet. Sombroek had wondered if modern farmers might create their own terra preta—terra preta nova, as he dubbed it. Much as the green revolution dramatically improved the developing world’s crops, terra preta could unleash what the scientific journal Nature has called a ‘black revolution’ across the broad arc of impoverished soil from Southeast Asia to Africa. Key to terra preta is charcoal, made by burning plants and refuse at low temperatures. In March a research team led by Christoph Steiner, then of the University of Bayreuth, reported that simply adding crumbled charcoal and condensed smoke to typically bad tropical soils caused an ‘exponential increase’ in the microbial population—kick-starting the underground ecosystem that is critical to fertility. We’ve lost some of our site images, but here are representative images of our process in creating biochar via pyrolysis–a form of incineration that chemically decomposes organic materials by heat in the absence of oxygen. The process is attracting the attention of community members, soil scientists, organic gardeners, and environmental engineers, as it has been shown to be both a carbon-negative soil amendment that helps to mitigate climate change and it has the potential to dramatically increase soil fertility. These images represent our process or replicating previous community efforts; although larger-scale initiatives are underway internationally, we focus on what local gardeners and small farmers might attempt here in the Houghton and Keweenaw area. they could become one of the keys to slowing tropical deforestation – itself a major source of greenhouse gas emissions – by prompting millions of shifting cultivators to change their current practise of ‘slash and burn’ agriculture to ‘slash and char’ instead. Shifting cultivation is caused by the rapid depletion of soils, forcing farmers to clear forest for new land every few years; in contrast, biochar amended soils would boost soil fertility, bring the farmers higher yields, thus limiting their need to take new land into cultivation.